Ecology best understands how organisms relate to the physical and natural environment. Specifically, ecologists assess population dynamics in the built and natural environment. Ecologists work in all aspects of the environment. For instance, they may conduct studies in wetlands, lakes, ponds, flora and fauna. Their observations may include wildlife, birds, mammals, amphibians, reptiles or any classification of life. 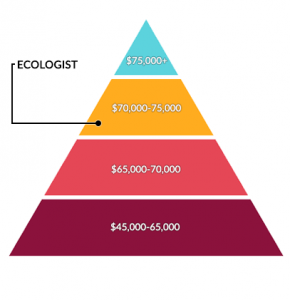 Ecologists earn an average of about 72,600$ for annual salary. Job growth and employment trends are normal. 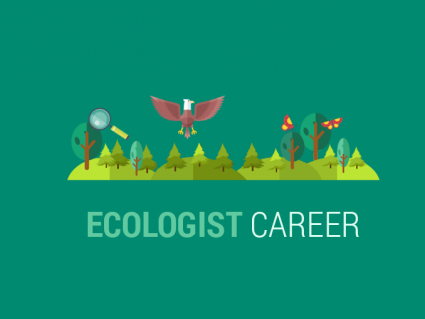 On average, ecologists earn more than other Earth science careers. In general, ecologists work in the office or in the field giving advice to policy makers or baseline studies. 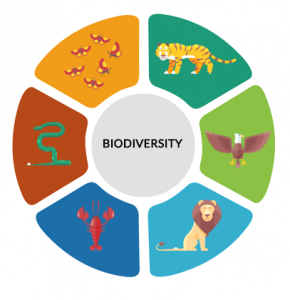 Ecology is one of the branches of biology. 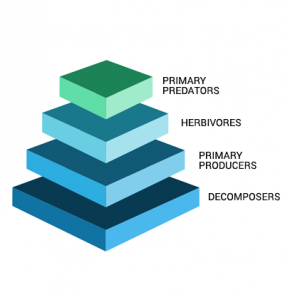 But companies view biologists and ecologists as two separate professions. In most consulting companies, ecologists are different from biologist careers in that they are (in general) a hired profession. Ecologists are seasoned specialists who typically require several years of experience. On the other hand, biologists, environmental scientists and staff scientists are entry-level positions. Working in ecology is seeing conservation in action. So this means it has a solid mix of indoor and outdoor work. For example, indoor work includes writing monitoring reports, ecological evaluations and working with technical data. Based on geographic location, field work is often seasonal. For example, ecologists can conduct vegetative monitoring in the field only in the spring, summer and fall months. They may oversee construction at sites to ensure no environmental impacts occur, risk assessment work, or even planting at a restoration site. At a whole other level, an ecologist career may respond to emergencies at an oil spill site or catch animals for rehabilitation. Working as an environmental scientist at a consulting firm, ecologists perform tasks like restoring habitat, tracking animals and running predictive models. By far, private consultants hire the most ecologists. This is often for preparing environmental assessment for major construction projects. Non-profit organizations like conservation groups need ecologists too. For environmental stewardship and protection, ecologists focus on habitat restoration and wildlife monitoring. Finally, local governments need ecologists to represent an administrative area as a land manager. At a federal level, they are involved in policy making and decision making. Some ecologists enjoy their balance between fieldwork and the corresponding reporting/office work. Even though they experience nature in a rugged way, there can be extensive periods in the field which is undesirable for some. Ecologists have the chance to see some pretty amazing places. For example, they may visits an old industrial site or a pristine wetland. They may perform soil, groundwater, hazardous waste sampling. By restoring disturbed areas, cleaning up hazardous sites and characterizing risk, this can be a fulfilling part of an ecology career. The vast majority of ecologists have a degree in some sort of environmental science. For example, degrees are focused in biology, zoology and ecology. Useful technology skills are in GIS, computer programming, data management, statistics (R) and remote sensing. Field skills like radio telemetry, map reading, soil sampling, trail cameras and nature interpretation come in handy and are even a requirement for some ecology careers. If you want to get your foot in the door, get an internship. Not only does it look great on your resume, but it gets you more exposed to different disciplines in ecology. Volunteering is also a great way to make contacts in the industry. Because sometimes it’s not about what you know, but more about who you know.